Located above Rice Cafe, these one bedroom apartments are down the block from Harry's, and the restaurants in Chauncey Village. The Villas is the perfect apartment for those looking to live close to the action of the Village and campus buildings. 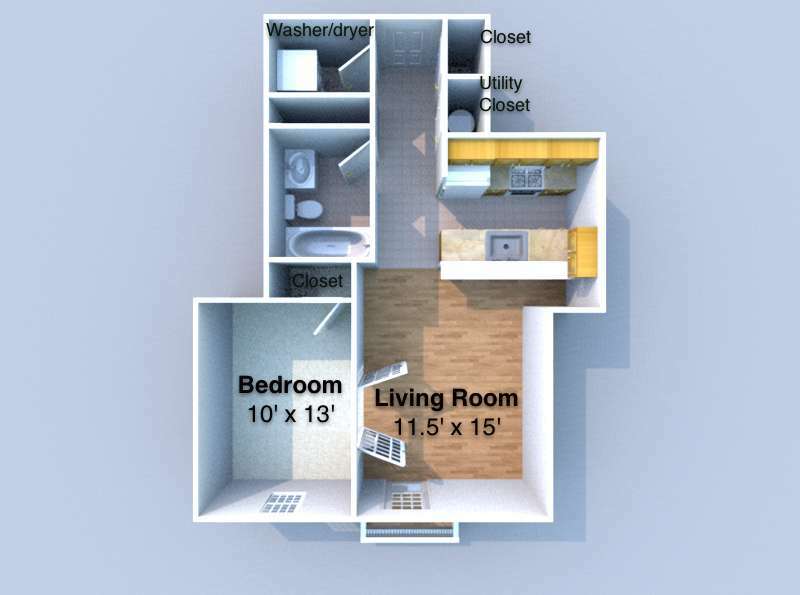 These units all feature updated kitchens, washer and dryer in the units, and even have a buzzing system for additional privacy! Not to mention the french doors to add character and class! The Villas is located near the Downtown Lafayette neighborhood just 0.51 miles from the center of West Lafayette and 0.40 miles from Purdue University-Main Campus. The property has a Walkscore of 85, so you should be able to walk or ride a bike most of the time. The Villas has many shops nearby. Coffee shops in the area include Panera Bread, Starbucks, Greyhouse Coffee & Supply Co.. There are a number of markets in the area include Walmart Supercenter, Pay Less Super Market, Dollar General.